Lamy Joy black and red pen, 1.5 nib. Platignum black desk pen, medium italic nib. William Mitchell dip pen with spare nibs. Pilot V-Pen, blue ink, medium nib – recent. French Tintin pen with broken clip, from a holiday in Paris. W H Smith calligraphy pen with twist converter, broad italic Platignum nib. 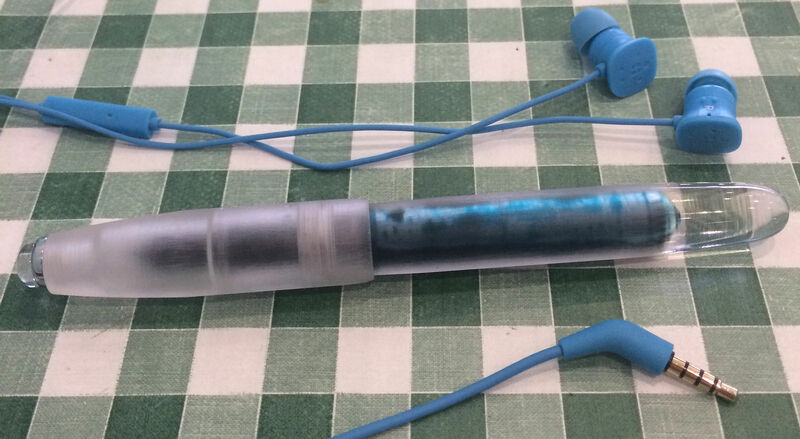 Pilot V-Pen, turquoise erasable ink, medium nib – older. 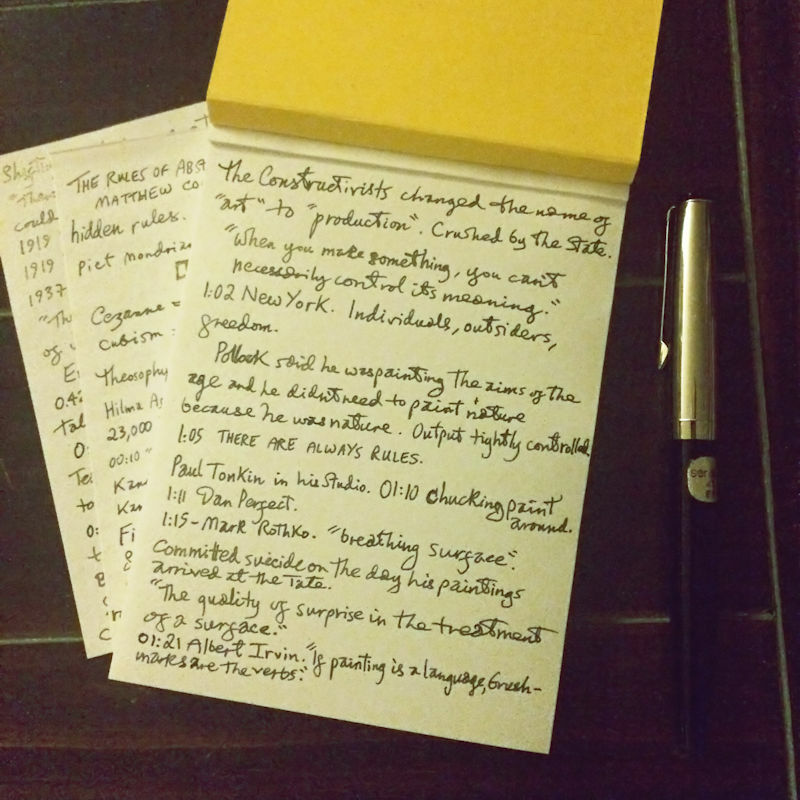 Campo Marzio Minny orange (mandarin)/gold pen, German iridium nib, turquoise ink cartridges, from an Italian holiday. I’ll add these to my collection and review them some day, paired with a random ink. 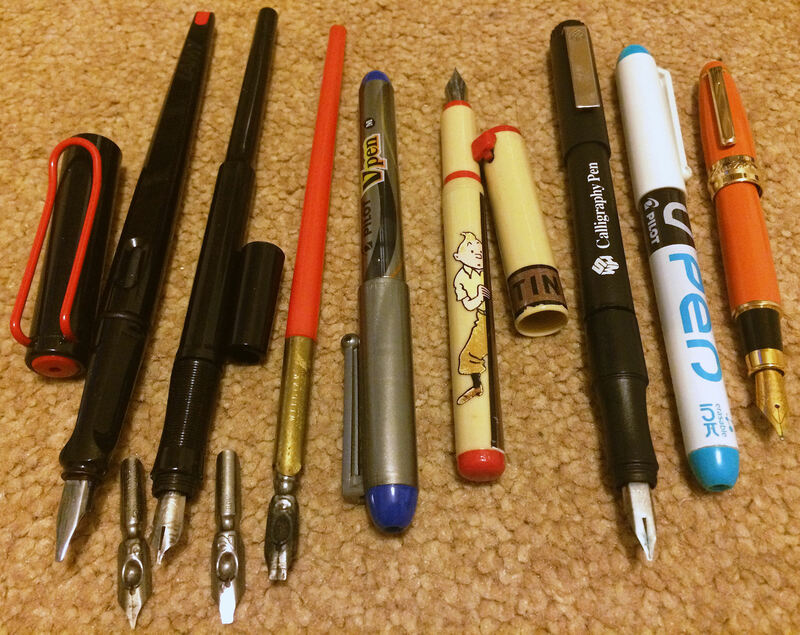 This reminds me of the last time that I cleared out some pens, ten years ago, gripped with minimalist zeal. 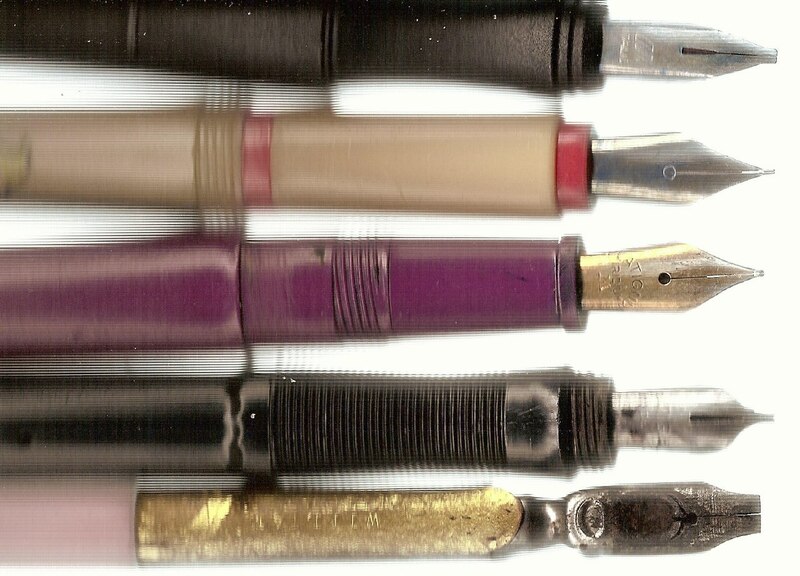 One of the first to go was the purple fountain pen that I filled with turquoise ink and then used to fill many notebooks and “rough books” in my teens. Yes, I still have the notebooks! I thought a photo of the pen would substitute for the real thing. I wish I still had it. This in turn reminds me of a similar effort at clearing out my LPs when they were replaced by CDs. 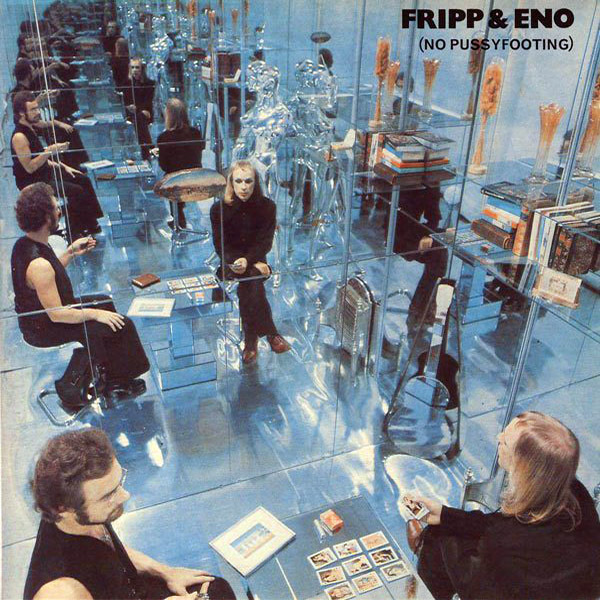 I had Fripp & Eno’s No Pussyfooting and loved it, but the disc got a lot of wear and accumulated dust and crackles so I was very happy with the CD release in about 1985 on Editions EG, but the cover was a cropped version of the original with larger text; not the same, not gatefold either. I miss the vinyl, especially the typography of the label, as an object, as art and design and guess what: I did not replace many more LPs with CDs. I got both. So much for sacrificing one’s darlings and meaning to carry on decluttering with less regret. I just watched a little of ‘Obsessive Compulsive Cleaners’ on television in which a hoarder stated that she did not want to throw any memories away. Of course, we’re both wrong. We will always have the memories, but not the objects that trigger them. 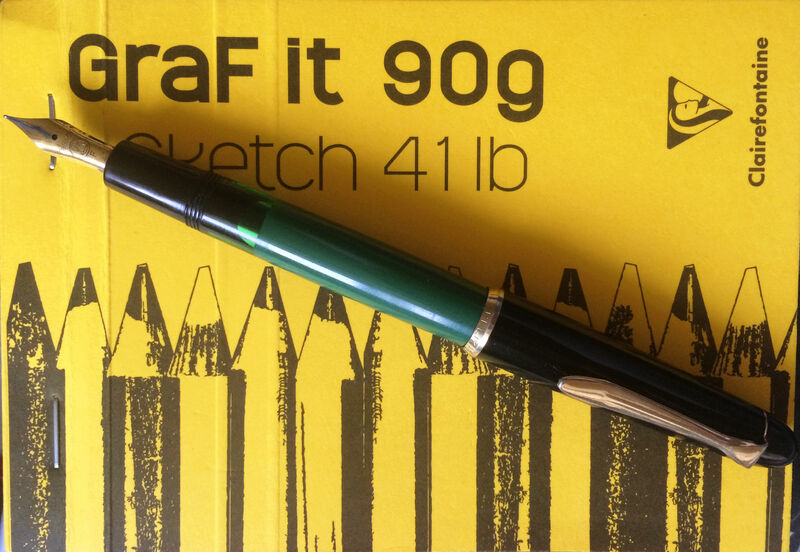 This is an old German fountain pen I bought through eBay for £12.46 including P&P. It’s “new old stock” (NOS) which is unsold shop goods, later offered for resale. The box was water-stained. 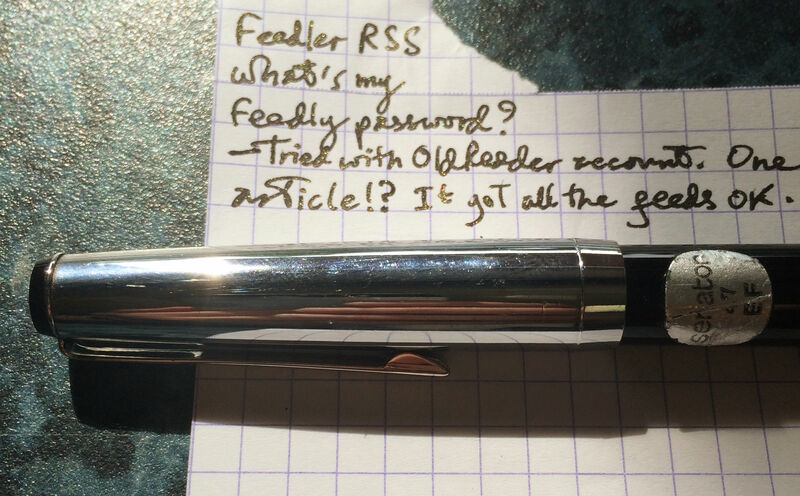 The barrel is a hard black plastic or resin, the cap is thin steel (not chrome?). 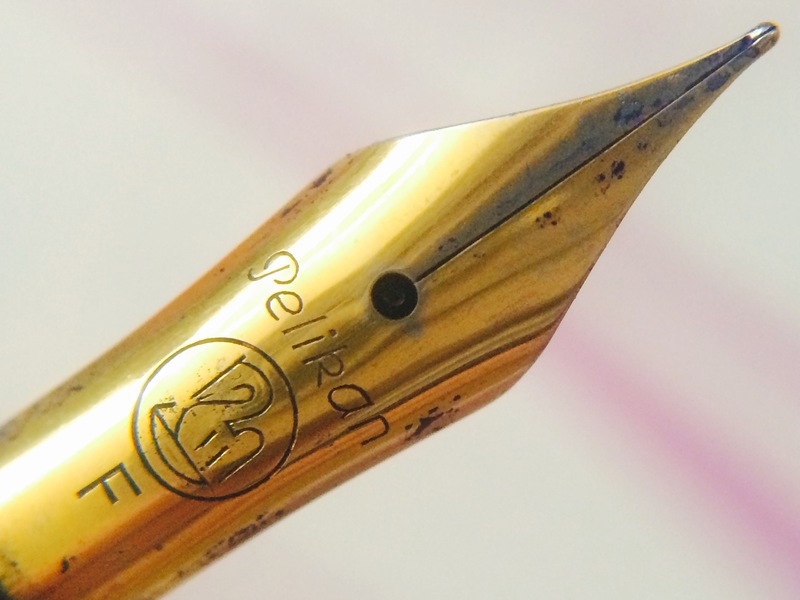 The nib is gold-plated steel with an iridium extra fine tip although it writes more like a medium size with a bit of flex. 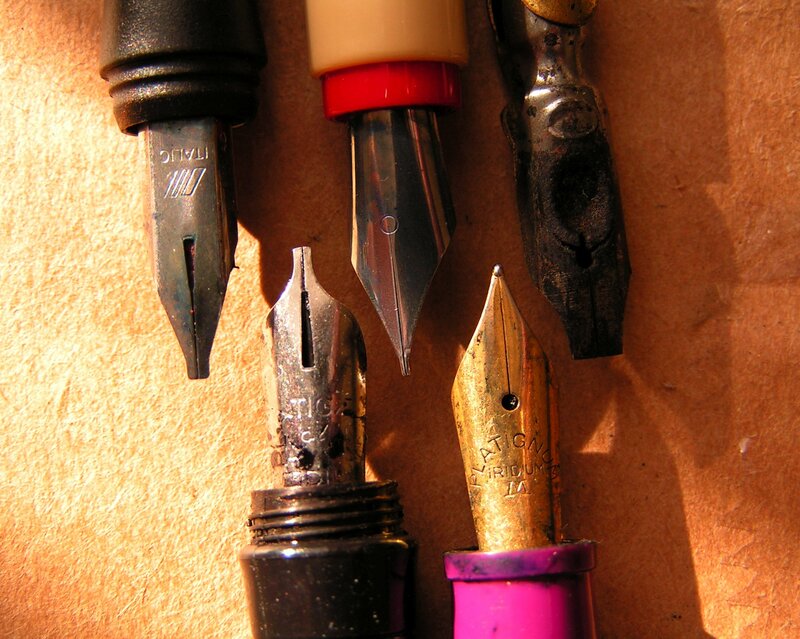 The nib is partly hooded, with a diamond emblem. 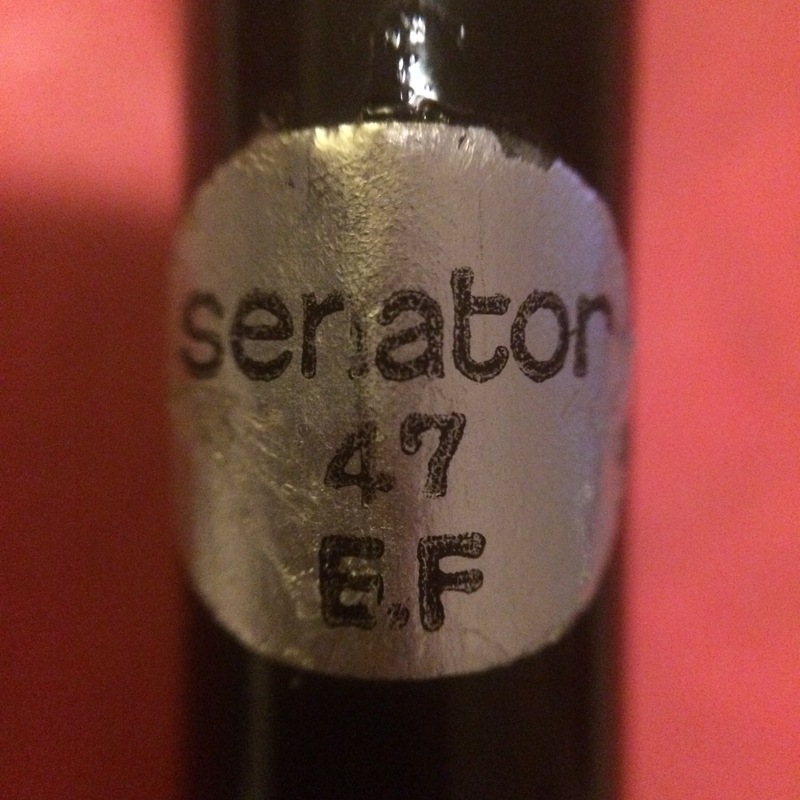 The 47 is a piston-filler, with a ring of transparent ink windows around the barrel in the same arrangement as the standard Noodler’s pen, except this Senator pen is dated around 1970. The grip is fine; the weight with the cap posted is still light at 11 grams and is well-balanced for me. 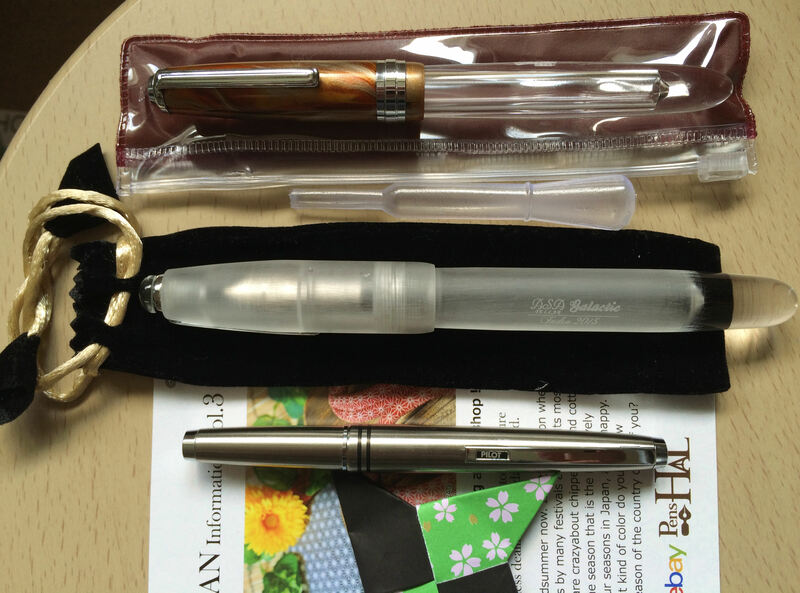 You may well find these pens on eBay or Etsy shipping from Istanbul, with burgundy or black barrels. I recommend them! 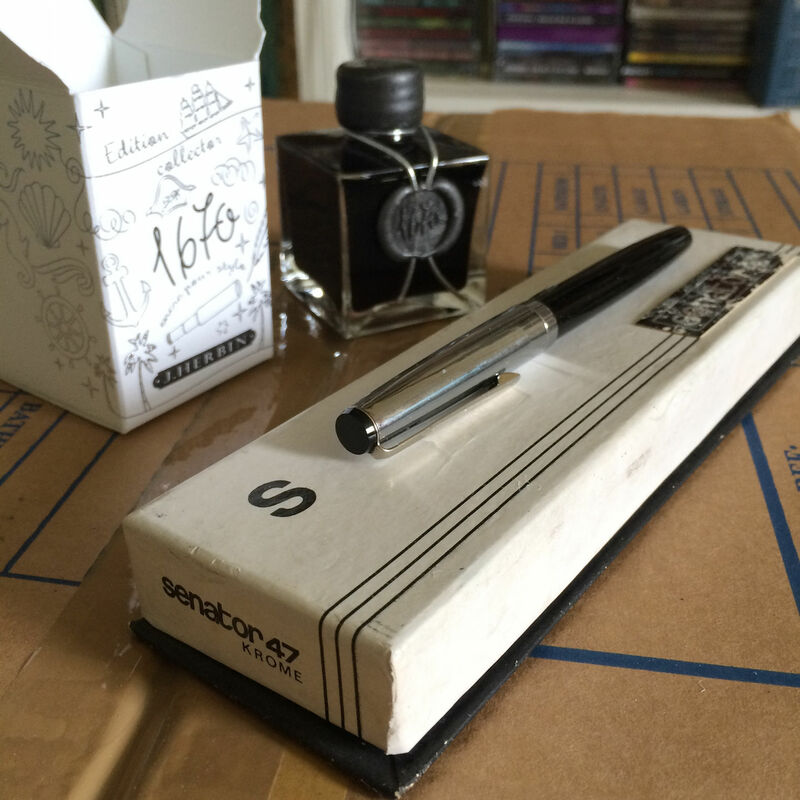 As I picked up one of these NOS Senators cheaply, I thought it would not be too much of a risk to fill it with Stormy Grey 1670 Anniversary ink made by J. Herbin. 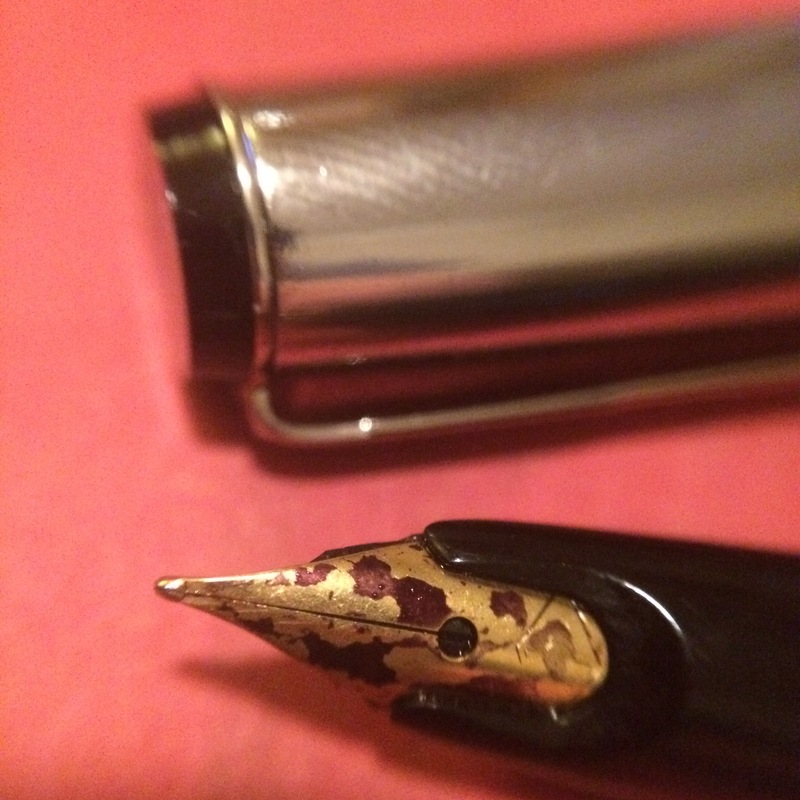 This ink was new at the time and the inclusion of real gold flakes in the ink had many pen bloggers concerned with the possibility of clogging. This has not been a problem at all. 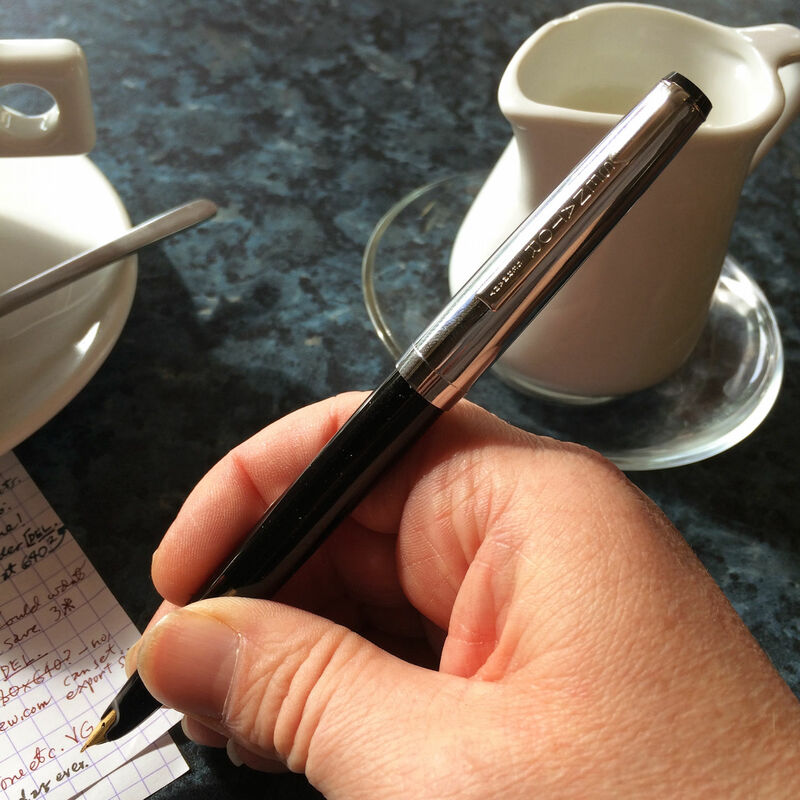 Sometimes the gold will not appear if the pen has been resting: the appearance of my script is then a normal, albeit lush, black ink. Simply inverting or rotating the pen will usually stir up lots of gold. Arrrrr, real gold, me hearties! 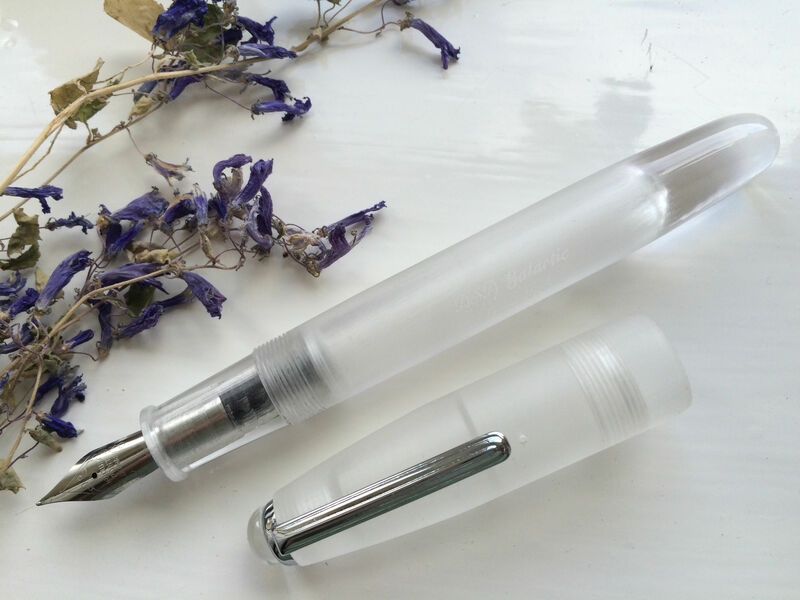 Obviously the ink bottle needs shaking immediately before filling the pen because the metal quickly sinks to the bottom. 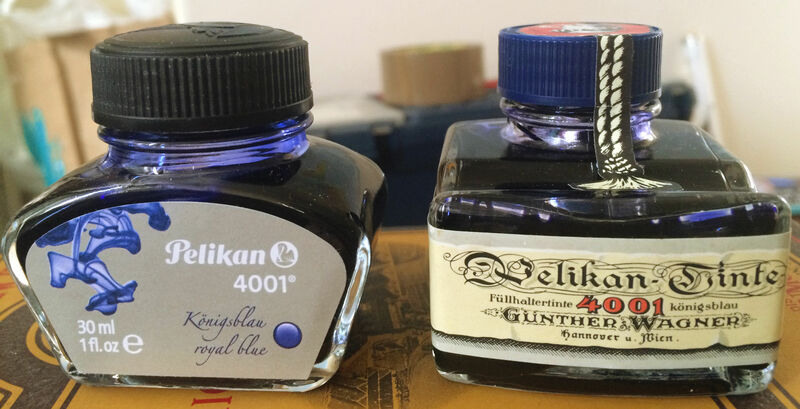 The ink is well-behaved and quite wet, ie wetter than some other inks! It feels lubricated. And when it is dry it is dry — no smearing — after about twenty-five seconds, when the glistening black line will dry out to reveal the gold specks sticking to the paper. 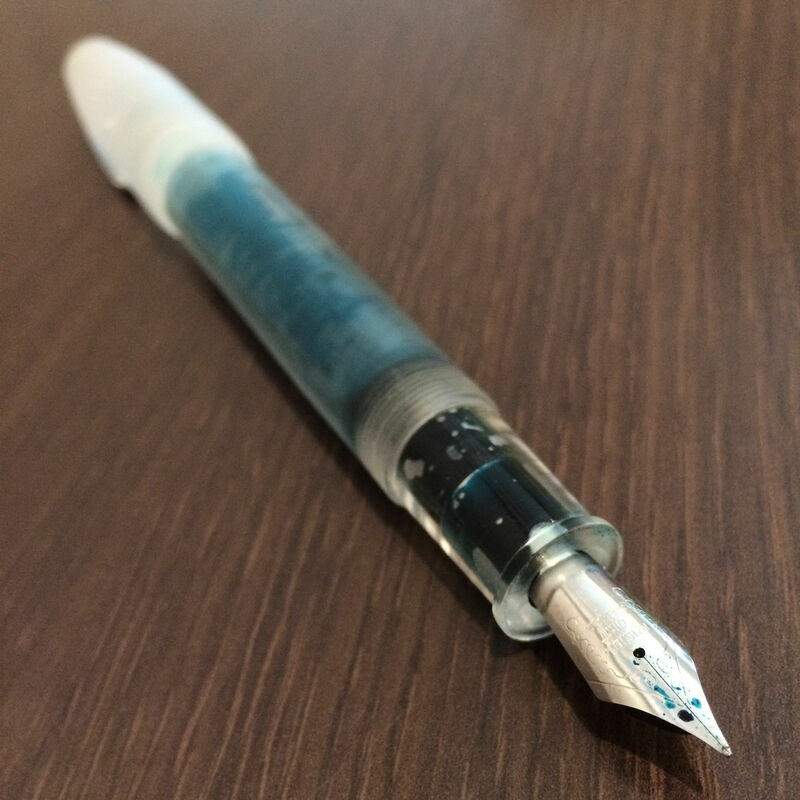 Grey seems to be a misnomer: this ink is dark. 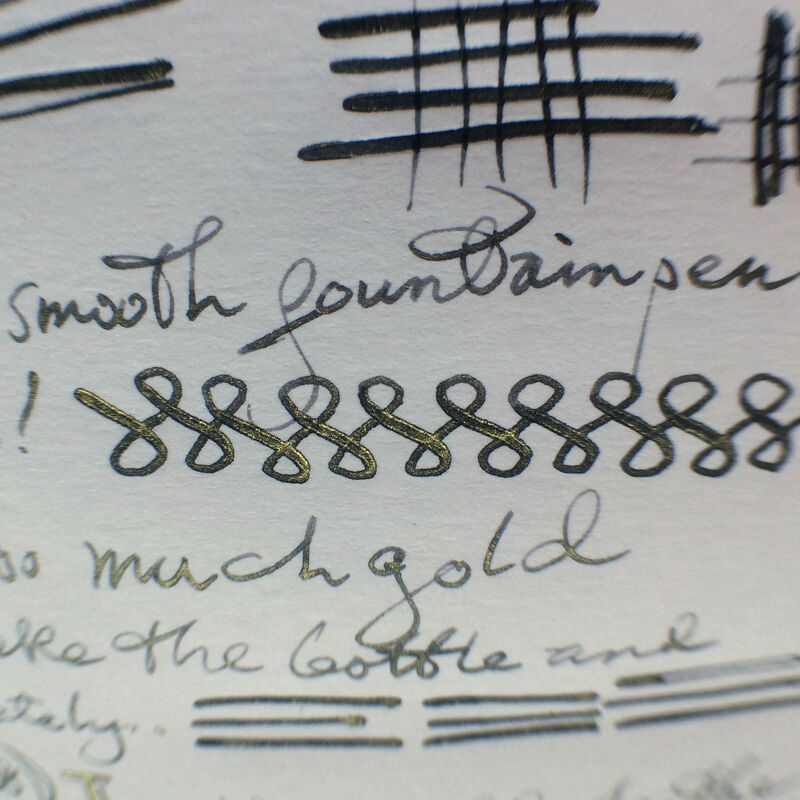 The colour is similar to Noodler’s Kung-Te-Cheng ink but the gold flecks make it appear lighter. Without a reference point one might assume it is black but when compared to a really black ink such as Noodler’s Black we can see it is grey. The ink bleeds slightly on Field Notes Finch Paper but is fine otherwise, on Rhodia for instance. I inked the pen on Halloween last year and it’s just run out, so I added some water. Now it’s writing pretty much as before, with a lot of extra gold! Amazingly the ink seems to be just as dark. 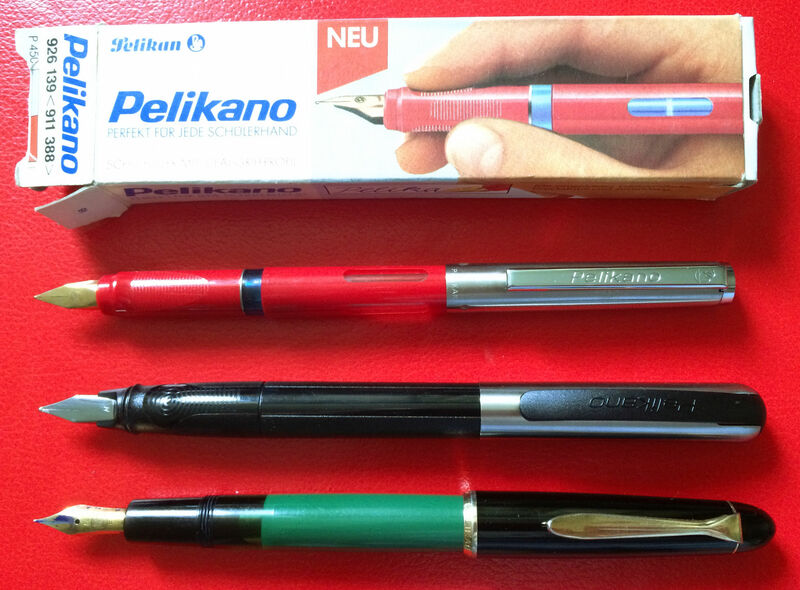 So, there are pen bargains to be had on eBay. A little knowledge is a dangerous thing of course: I have bought a few duds as well. 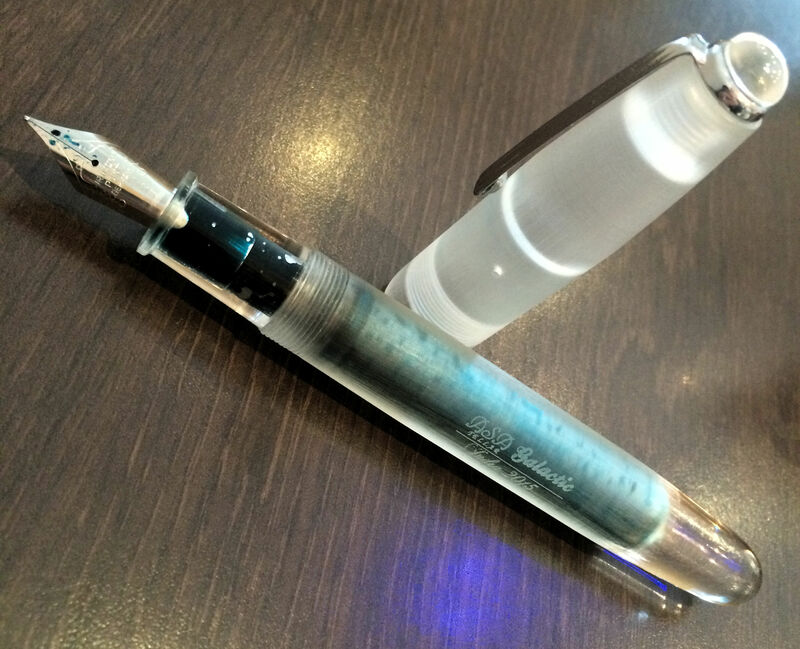 I’ll be writing a post about fountain pens on eBay soon to let you know what I have learned.